A look back at the 1998 Smithsonian Visual Identity Program designed by Chermayeff & Geismar. By 2022, the Smithsonian will build on its unique strengths to engage and to inspire more people, where they are, with greater impact, while catalyzing critical conversation on issues affecting our nation and the world. The first goal of the strategic place is to "Be One Smithsonian." In practice this holistic approach means working together to increase the Smithsonian's reach and impact; making better use of Smithsonian resources; standardizing the visitor experience; and increasing communication, collaboration and coordination between all parts of the Smithsonian. In 1998 Secretary I. Michael Heyman was working towards a slightly different kind of "one Smithsonian." 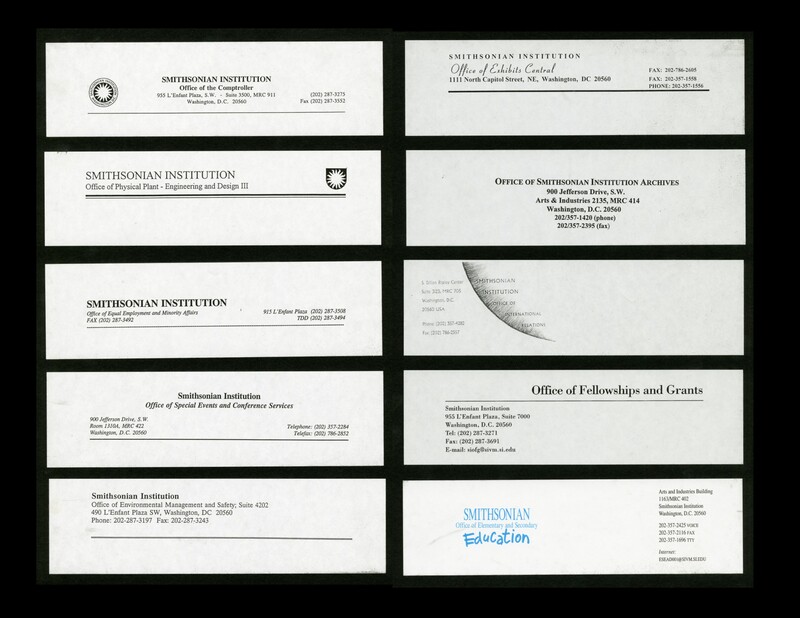 Heyman put forth a visual identity program that unified the graphic presentations of the Smithsonian's museums, research organizations, educational units, and administrative offices. 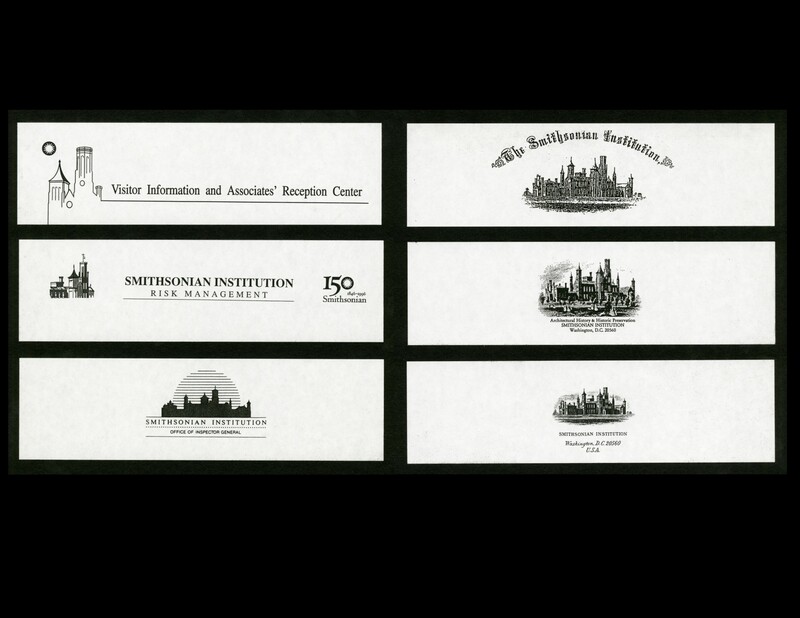 Heyman recognized that as the Smithsonian grew from its founding in 1846, the various entities that made up the Institution had crafted their own graphics, symbols, and logos to connect with their respective audiences. The creation of these independent identities unfortunately lead to confusion regarding the role and functions of the Smithsonian through its dissonant visual language. As a result people were sometimes uninformed of the full range and depth of the Smithsonian's activities. To combat this confusion and present a unified Smithsonian graphically, Heyman enlisted the help of the design firm, Chermayeff & Geismar. 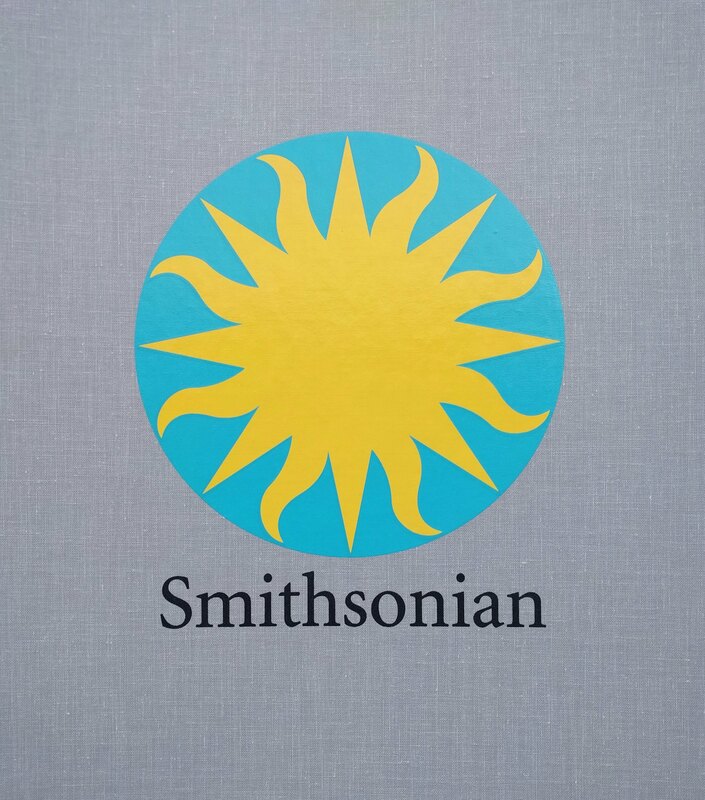 Drawing upon the Smithsonian seal that was designed in 1966 and which incorporated a sunburst, Chermayeff & Geismar created the Smithsonian logo that we know today. 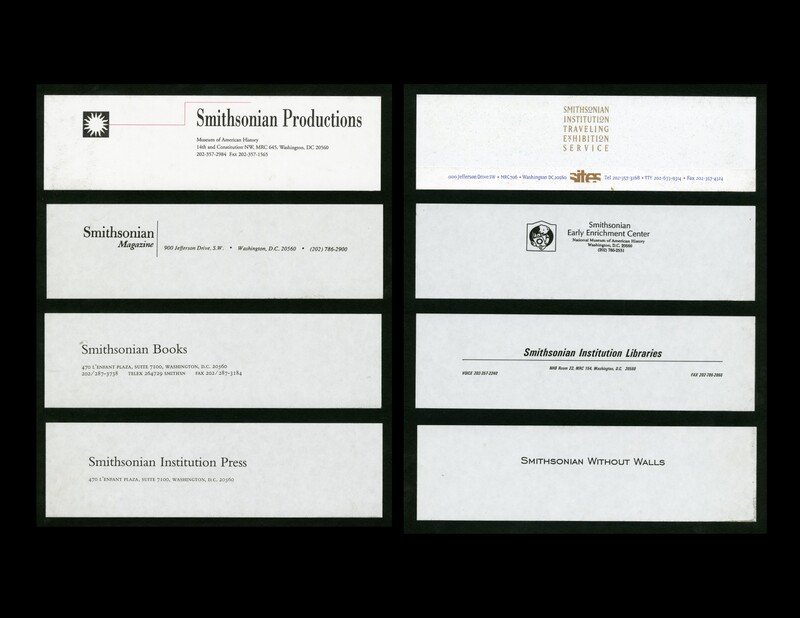 With the new logo and design guidelines, stationery, business cards, envelopes, memos, labels, news releases, brochures, promotional materials, and Smithsonian merchandise now had a standardized and unified look.